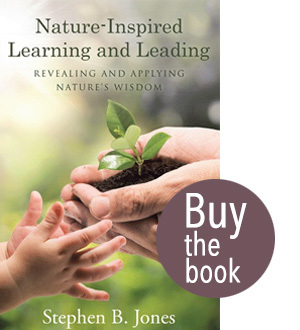 I am actively seeking to spread the gospel of Nature-Inspired Learning and Leading. This is a positive step! Note: That’s not me standing atop the hill in silhouette — I’m the old guy sitting in the chair by the bookshelf! Louis Bromfield, a mid-twentieth century novelist and playwright, published some thirty books, each one a best-seller. Several evolved into Hollywood movies, yet Bromfield chose to devote his life to rehabilitating the “old worn out Ohio farm” he purchased in the 1930s. He wrote of his mission in his non-fiction Pleasant Valley: “The adventure at Malabar is by no means finished… The land came to us out of eternity and when the youngest of us associated with it dies, it will still be here. The best we can hope to do is to leave the mark of our fleeting existence upon it, to die knowing that we have changed a small corner of this Earth for the better by wisdom, knowledge, and hard work.” Isn’t that what all of us should strive to achieve? To live our lives fulfilling our own destiny… and, to change some small corner of this Earth for the better? Such is the core of my current Life-mission. Dad died February 13, 1995. I was still running competitively then. I did a ten-mile loop the memorial service morning, departing as dawn began painting the eastern sky. Mid-single digit readings encouraged a quick early pace to bring warmth to my extremities. I floated, calm in the crisp silence, heading down to the winding road along Evitts Creek. North-bound, the road flanked the creek’s west bank, some 100 feet above the mostly ice-covered stream. Three and a half miles into the loop, movement at an ice-free sharp turn with mild rapids caught my eye. Hitting the stop watch, I paused, looking east below me, squinting into the sun nosing above the ridge. A great blue heron stood, shrouded in mist rising from the exposed water. We locked eyes, the magnificent bird watching me as intently as I gazed at him (I automatically assigned male gender, not wondering why). My quiet run had focused on thoughts of Dad – our many adventures in nature — fishing, camping, hiking, and observing. He loved herons. Their still, patient, deliberate, yet stilt-legged, awkward movements. Their lightning strike to nail a next meal. Their regal flight when, in lifting, those ungainly legs become one with the sleek flight profile. We maintained eye contact for perhaps a minute, and then he rose, effortlessly. Not heading up or down the waterway, but rising in slow spirals, ever skyward. I lost him when his flight crossed the rising sun, tears blurring my vision. I stood a moment, continuing to search the sky, but to no avail. I hit the stopwatch and resumed the loop, wiping tears as I ran. Dad had just said goodbye. Since that long-ago winter morning, Dad occasionally makes a symbolic appearance – a farm pond; a beaver dam; in flight. The tears return. Warm memories flood. Dad is with me. He always will be. Thanks to him, I am a lifetime outdoor enthusiast. 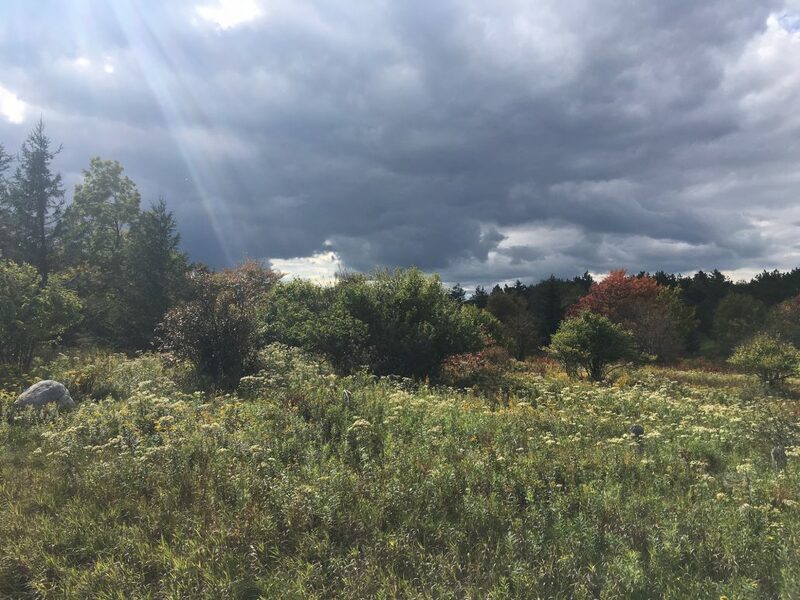 Now, at 45 years past my bachelor’s degree in forestry, I am convinced that nature communicates every lesson for living, learning, serving, and leading indelibly, repeatedly, and powerfully. Not all of Nature’s messages are lessons. Some are symbols, from which we draw inspiration and comfort. I know that Dad lives in me. Heron reminds me, freshens the memories, and deepens my gratitude. I suppose there is a lesson embedded in the imagery – that we all owe much to those who shaped us. That we should never forget that we grow from seeds others have sowed and nurtured. That nothing shapes us more than love. Yes, Dad said goodbye, yet he holds me tightly. I should have thanked him more often, more clearly. He knows, I am sure. He occasionally stops by to tip his wings, grab a fish, or wade through the shallows. I am living each day to its fullest – I am fulfilling my own destiny… and, striving to change some small corner of this Earth for the better. I can offer reflections on how, through Harnessing Nature’s Power and Wisdom, Positively Positive participants can as well. Nature offers infinite lessons rich with inspiration and humility. Nature’s ways are purpose-driven, passion-fueled, and results-oriented. Of that I am positive – positively positive! Nature-Inspired Learning and Leading – it’s my passion; it’s Dad’s spirit! 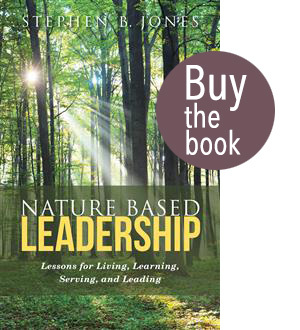 Steve Jones is a lifelong Nature enthusiast (BS forestry; PhD in applied ecology) who eventually stumbled into higher education administration. A retired university CEO (four universities), he is now dedicating his life to applying Nature’s lessons for living, learning, serving, and leading by way of writing, speaking, and boutique consulting. Steve’s mission is to change some small corner of the Earth for the better through wisdom, knowledge, and hard work.